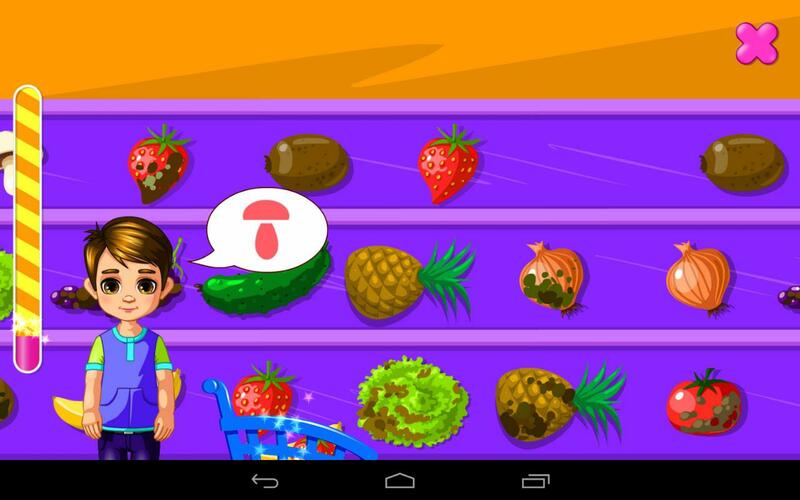 Your child will get to manage their very own supermarket in this fun-filled yet educational game. Take care of each customers’ needs, process their payments at the counter and even catch greedy thieves who will try to steal from the supermarket. 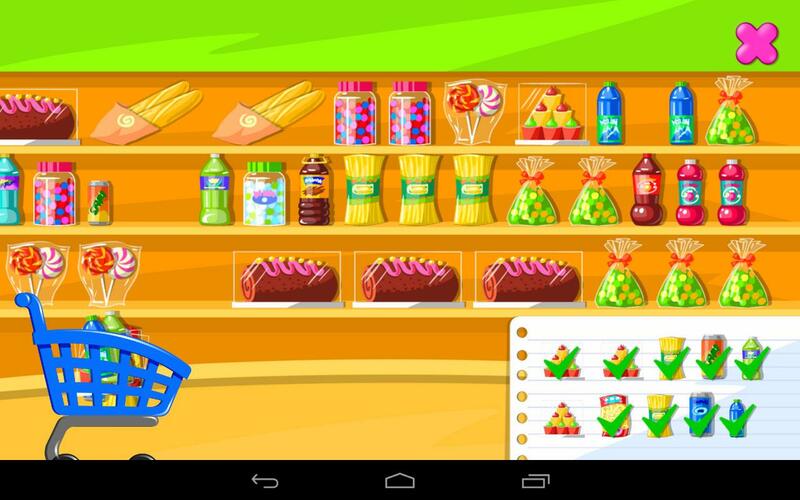 Counting -Being a supermarket game, your child will need to help out at the cash register to checkout your customers’ purchases. 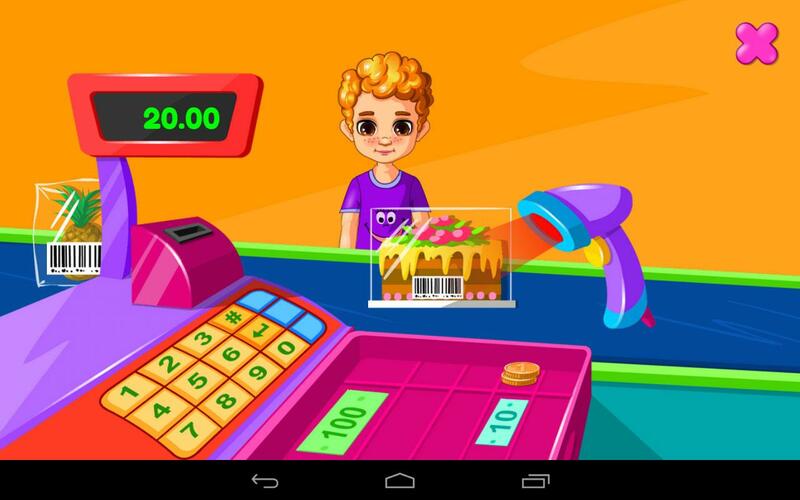 In this game, your kid not only gets to scan each item, which require a certain amount of hand-and-eye coordination; your child will also get to count the cash they receive before putting the money into the register. 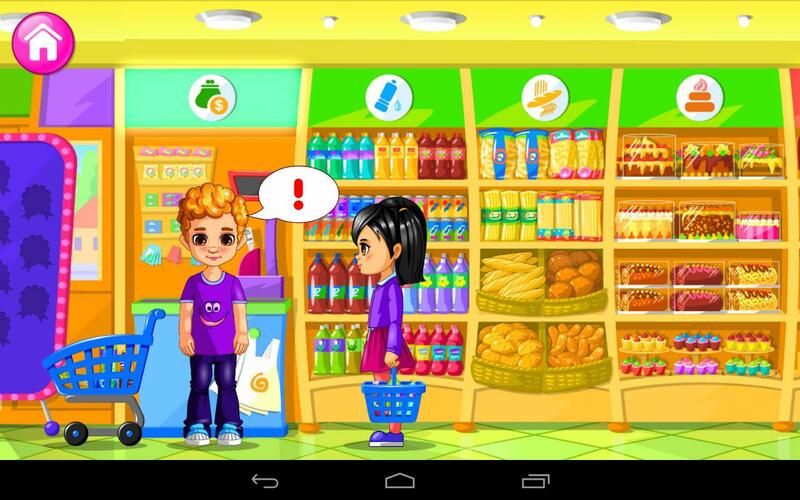 Reactions and Reflexes -There are many mini-games in Supermarket where your child’s reflexes and reaction time will be tested. 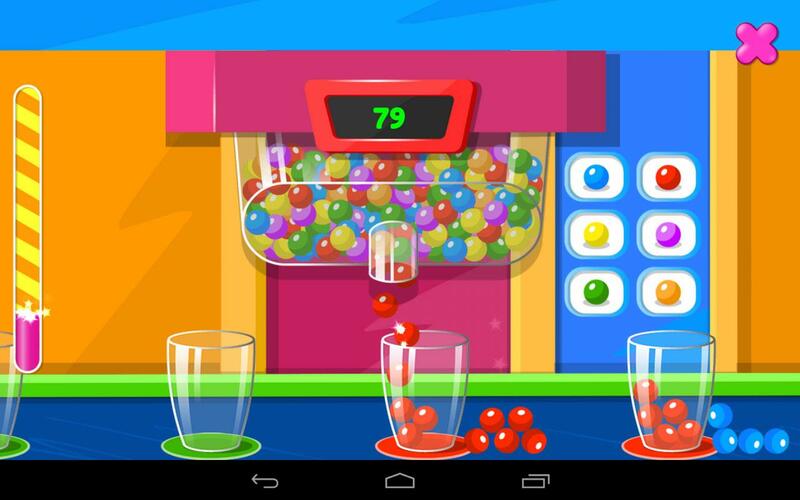 For instance, in the candy game, your child will need to fill as many colored candies into the correct cups (depending on the color). The challenge here is that the cups are placed on a constantly moving conveyor belt, making it rather hard to accurately drop the candy into the cup. This is especially true when the conveyer moves much faster near the end of the game. Hand & Eye Coordination -Aside from scanning bar codes on items, your child’s hand & eye coordination will also be tested when they are required to pick fresh fruits and vegetables from a rather fast-moving conveyor belt. 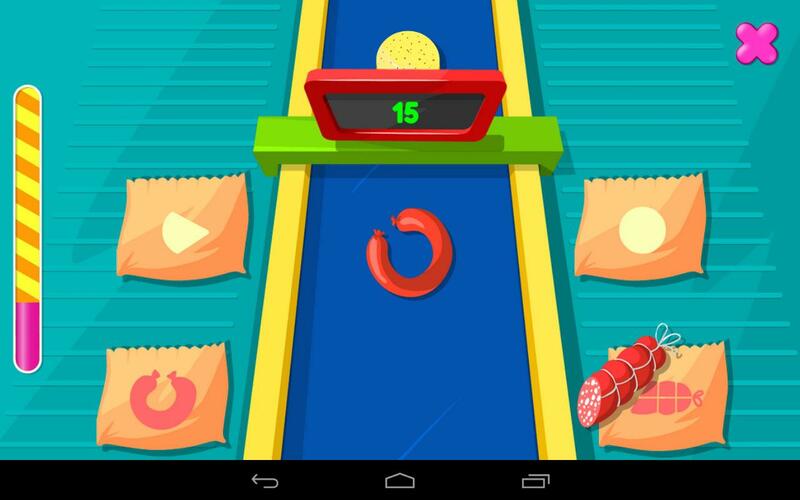 Shapes -In the meat and dairy products aisle, your child will get to enjoy the Packaging mini-game whereby they need to match the items on the conveyor belt to its correct packaging as indicated by the shape on the packaging itself. Observation Skills -Your child will also need to assist customers in their shopping by picking out the items they want from the shelves in their grocery list. Replay Value -Supermarket offers sufficient replay value for your child enough to make them want to play the game again and again. This is because by playing the same mini-games repeatedly, your child will gain better badges (bronze, silver and gold). Each badge gain will slightly increase the difficulty of its mini-game. These badges are also needed to unlock new mini-games. The game doesn’t come with a guide or a tutorial. Thus, for younger kids, you might need to help them figure out and teach them how to play, before you can let them play the game on their own. Supermarket also has quite a number of pop up ads (mainly promoting the developers’ other games), making this game a tad bit unsuitable for kids who are too young. 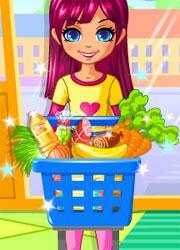 by Aethyna Feb 2, 2017 Your child will get to manage their very own supermarket in this fun-filled yet educational game. Take care of each customers’ needs, process their payments at the counter and even catch greedy thieves who will try to steal from the supermarket. Read More Be the First to Post a Review!